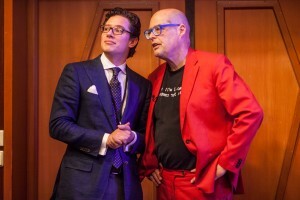 In 2014 and 2015, we organized the Dutch National Bitcoin Conference at the ABN AMRO Dialogues House and ING Headquarters. This year, we will be moving our scope beyond bitcoin and into the realm of blockchain. It’s our pleasure to announce that the Dutch Blockchain Conference 2016 will take place on the 20th of June at KPMG Headquarters in Amsterdam. Our conference has its roots in FinTech, and the disruptive power of the Bitcoin keeps us sharp and inspired. But in 2016, with all sectors getting on board the blocktrain, ehh… chain en masse, we’ll move our scope beyond finance and welcome speakers and attendees from government agencies, healthcare, energy, logistics, water, real estate and chemical sectors. Because the network of professionals working with blockchain technology is expanding rapidly and the interest in the Dutch Ecosystem is growing internationally, this conference will be in English. In the coming years, Blockchain technology will inevitably and radically change the role of traditional trusted (third) parties such as banks, accountants, notaries, and governments. The animated video about the Bitcoin Blockchain that was released by IntoBlockchain and partners on bitcoinproperly.org is the very first to specifically address the technology behind Bitcoin: the Blockchain. Within five minutes, it is explained how the essential functions of the “trusted third party” can be automatized through the Blockchain as well as what the implications of this are.